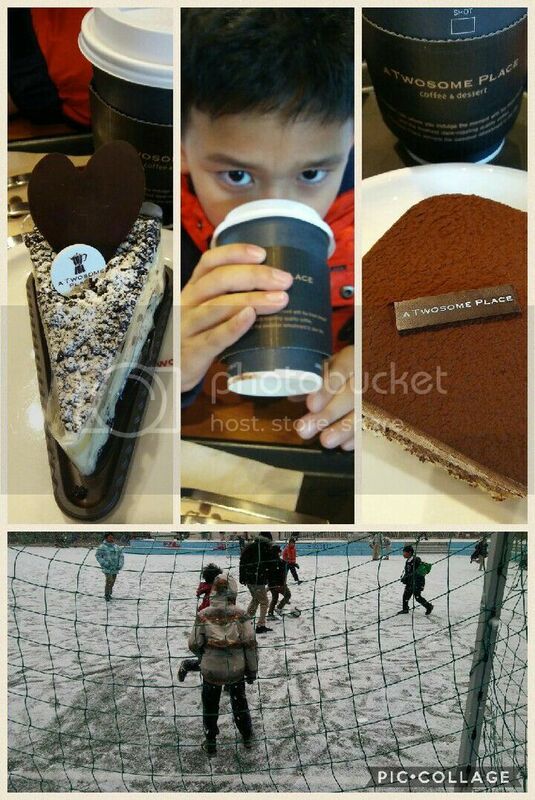 Last week, I treated this Team Captain’s soccer win with hot choco and cakes of his choice. After several postponements of the soccer championship, the kids played their final game in snowy weather. LeRuof led his team to 10-wins, 1-tie and 1-loss emerging as champions. Last semester, the Grades 3 to 5 students were encouraged to join a soccer tournament at school. LeRuof was chosen as one of the team captains. Team Captains were chosen based on skills, leadership and attitude. And then, the team captains can choose who they can put in their team. And it was this reason why he went home with a dilemma: Does he choose teammates with a lot of skills but has big temper? Does he choose the not so skillful ones but well-mannered? Plus the “if you don’t choose me, we’re not friends anymore” factor. Me: Oh no, you can’t allow yourself to be shouted at. You’re the team captain. Choose those you can control and you can teach skills to. Husband: As a team captain, what’s your goal? Husband: Then choose the skillful ones and control their temper. That’s where your leadership comes in. The boy embraced his lesson on sportsmanship and leadership. We celebrate each small victories because LeRuof’s soccer experience in this school tournament and Songdo 7 has become his personal journey of leadership and sportsmanship. Most importantly, he came to see and value each player in his team. Way to go, my boy!